No, I’m not about to give you the answer to every SAT math problem. Sorry. But I am going to tell you how to improve SAT math by being a test-taking machine—that is, being methodical. 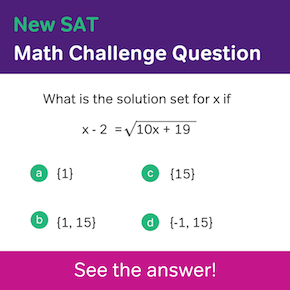 Now is the time to stop asking “How hard is SAT math?” and focus on overcoming your math challenges. Around half of SAT math questions have some kind of figure first. Always glean a little bit of context from that before you read the question. – Is there a chart or graph? Get familiar with it for a few seconds. Note the headings, units of measurement, and any trends you might see. – Is there a geometric figure? Look at what information is already filled in for you. Angle measurements? Side lengths? Radii? Don’t do any calculations at this point. So what if you can find that missing side of the triangle? You don’t know whether you’ll need it. Just make a mental note and move on. 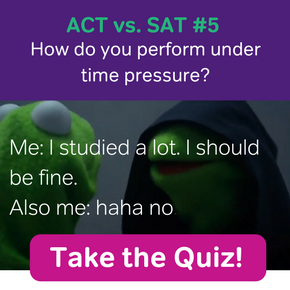 Those frustrating SAT graphs contain a lot of information. Look for more information you can put into the chart or graph, if there is one. If there’s no figure, consider drawing your own. Make sure you circle or underline what you’re looking for (x or y? diameter or radius?) so you don’t make a dumb mistake. This is really important. Some hotshots seem to think that they can get straight to the answer to every question on their SATs without seeing their options. Even if we don’t take into account test-savvy skills like process of elimination, there’s a problem with that gung-ho approach: a lot of questions require seeing the answers. If a question asks you for the value of x, for example, the answer might be some expression in terms of y. If you don’t see that ahead of time, you can easily waste precious time trying to find the numerical value of x when you don’t even need it. I always write formulas I’m about to use so I don’t accidentally plug in a number to the wrong part of the equation. Yes, D=RT is an easy formula, but write it out anyway. Caution pays off. Now it’s time for your math skills to shine. 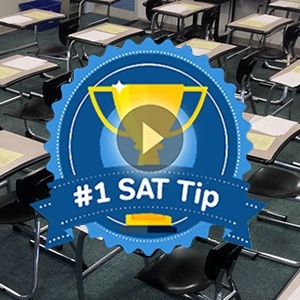 Notice this is the first time you’d use your SAT calculator—relying on that isn’t going to get you an 800 on your SAT math. You need to figure out what you’re doing first. If you’re not sure how to tackle the math, try some process of elimination. Plug in numbers from the answer choices or test out numbers from your own head for variables. Look for patterns as you do that. If you can’t get your head around the problem, make an educated guess and move on. Make sure any answer you get lines up with what you circled/underlined in step 2. You know what they say: slow and steady wins the bet with your friends about who’ll get the highest SAT score. And the one with below average SAT scores owes everyone a coke? Don’t forget to check out the video below for more tips to prepare for (and crush!) the SAT Math section! That’s an important question. The answer isn’t so clear, actually. Check out this post for a thorough explanation. In most cases, you will answer the question after eliminating an answer choice or two. If you really have no idea, then guessing can’t hurt you much, but it’s a bit of a gamble. Generally, I don’t recommend skipping questions. 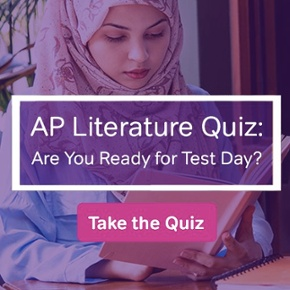 Instead, mark them in your test booklet (circle, star, whatever) and come back to them after you’ve answered all of the questions that you’re more comfortable with. Then make an educated guess based on what you do know. But I should make this part absolutely clear: if you can safely eliminate even one answer choice, you should DEFINITELY answer the question—even if it’s a roll of the dice between the remaining 4 choices.